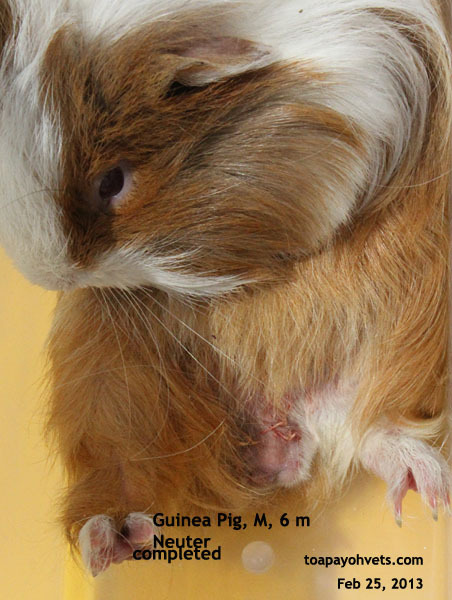 5979. 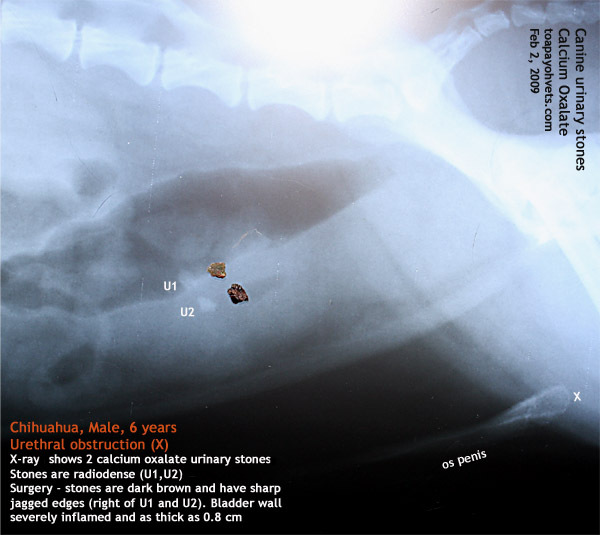 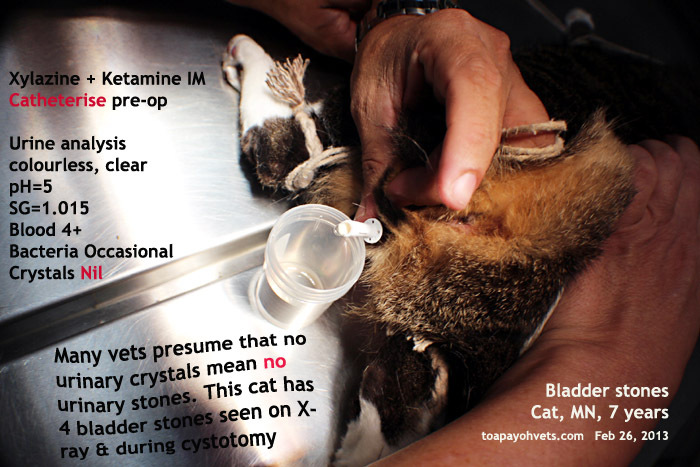 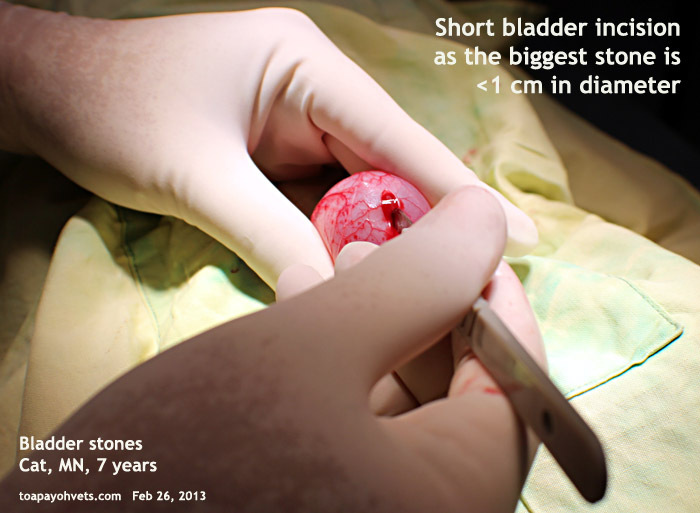 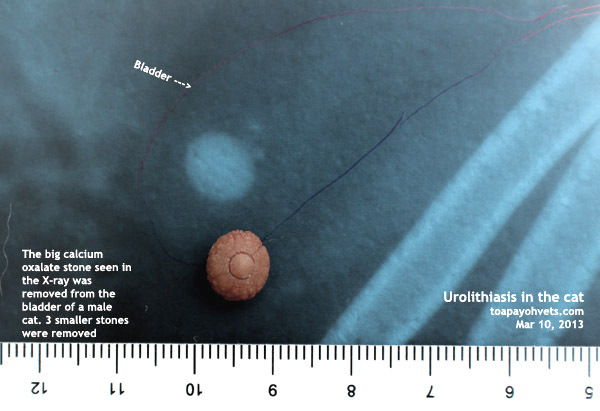 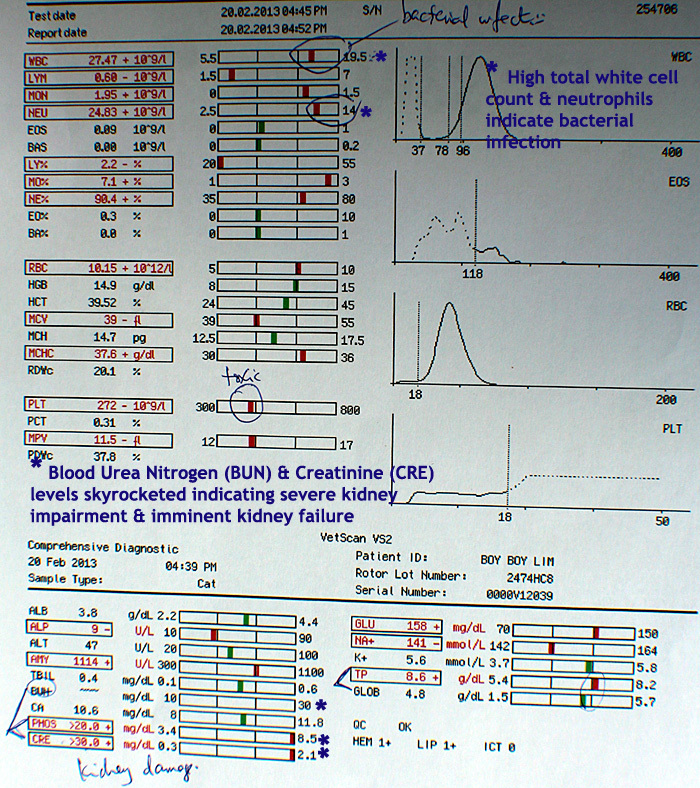 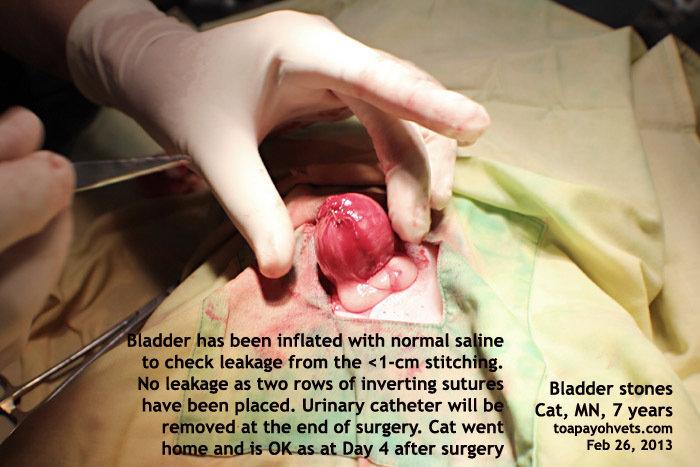 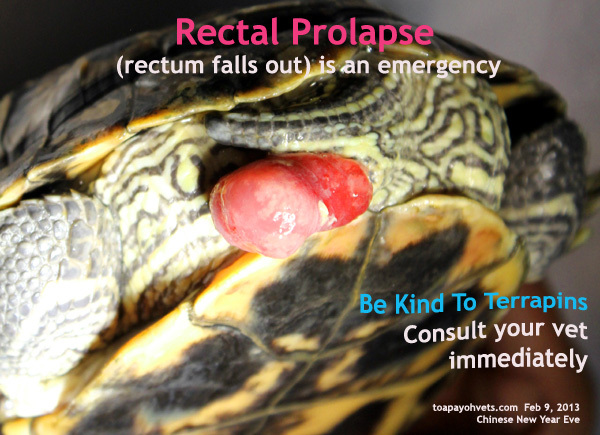 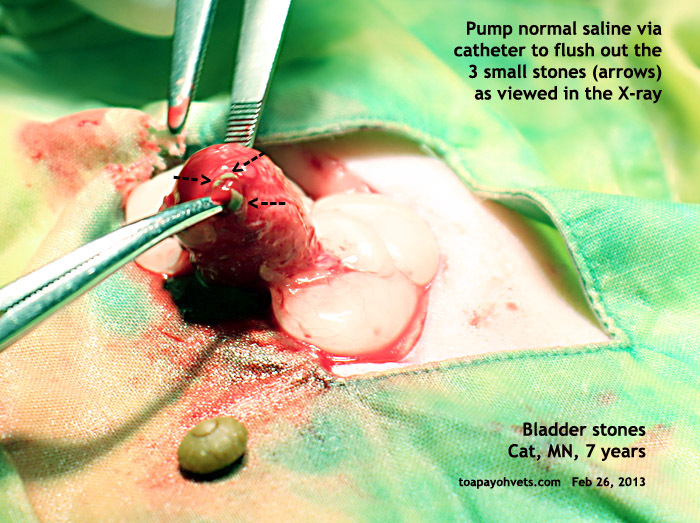 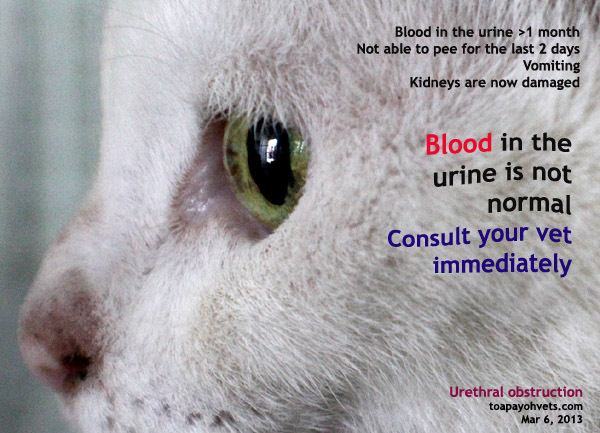 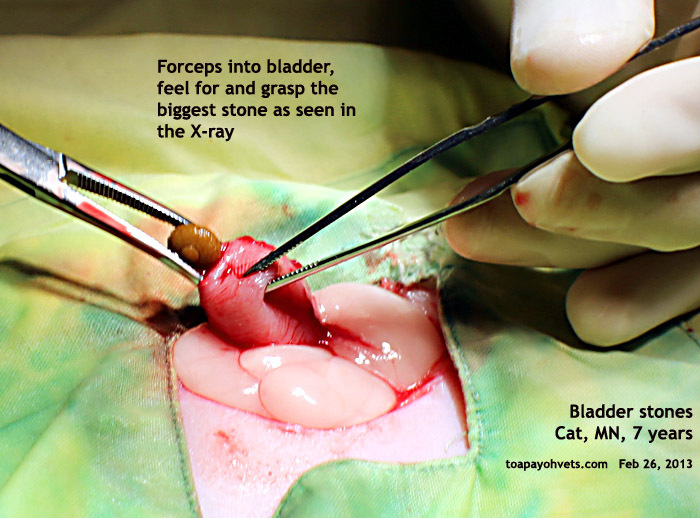 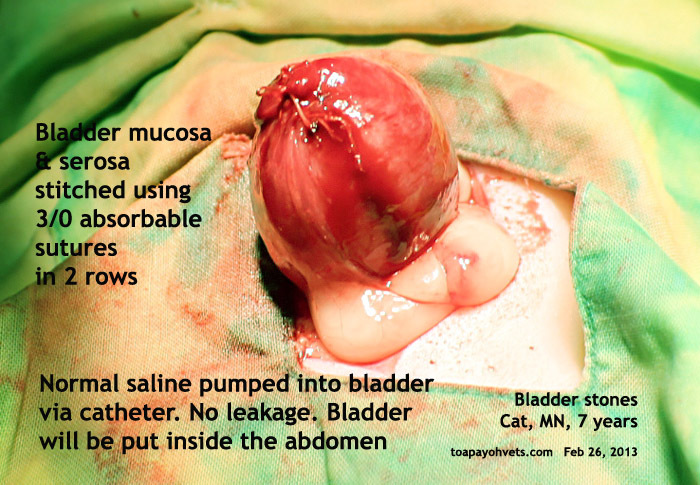 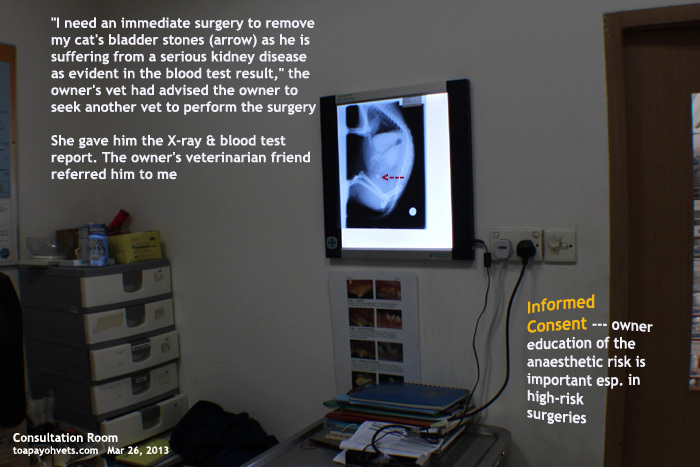 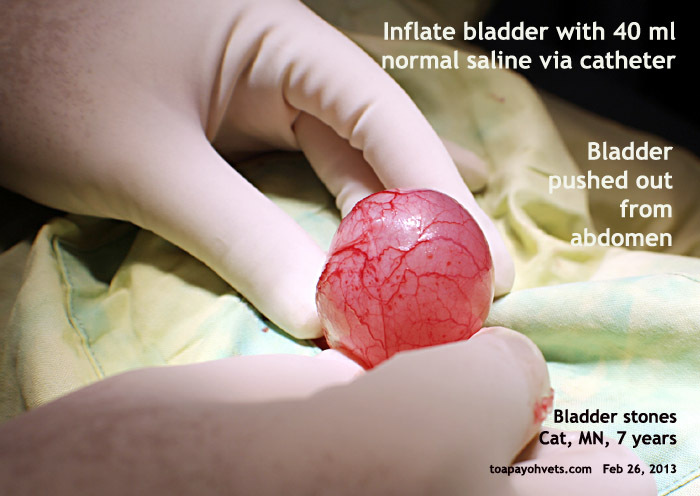 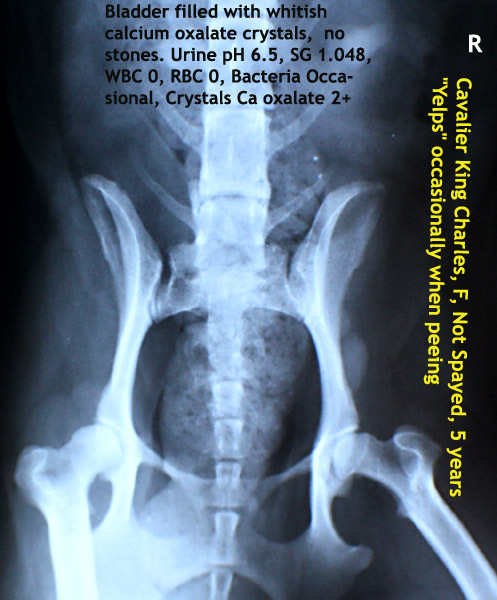 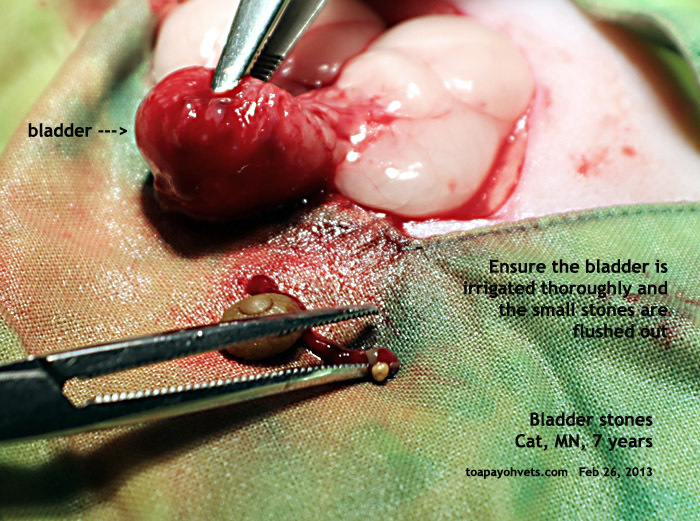 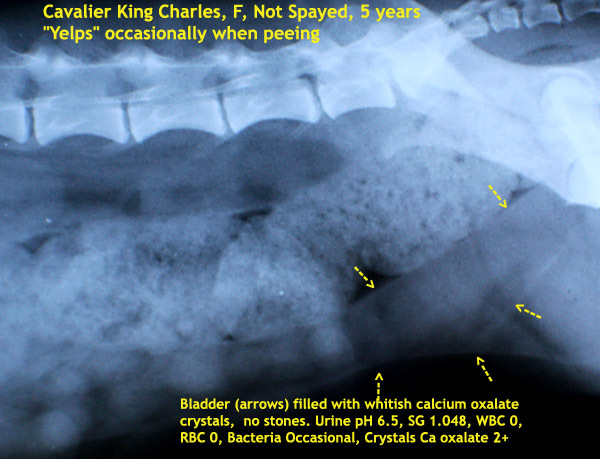 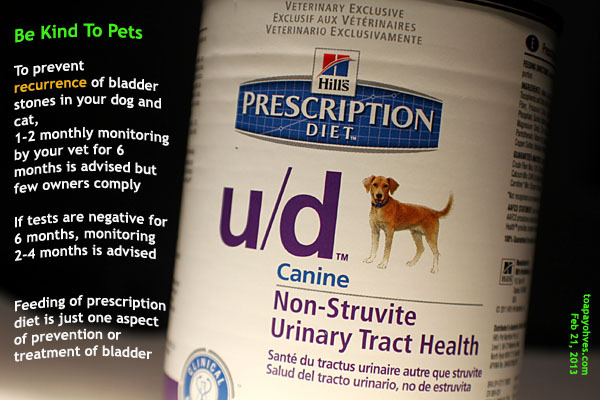 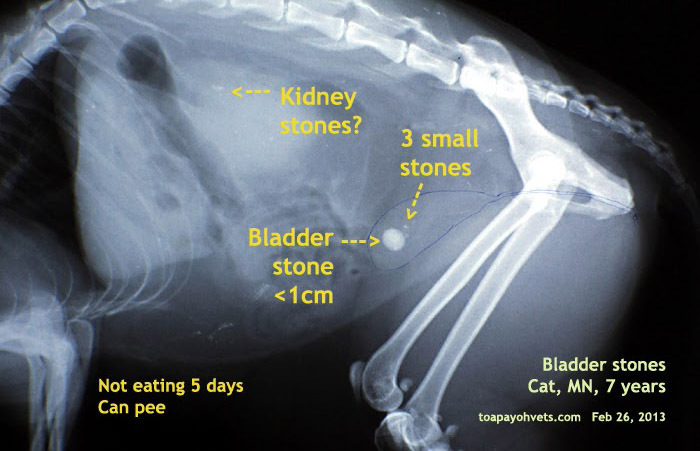 Preventing recurrence of urinary stones 5980 - 5781. 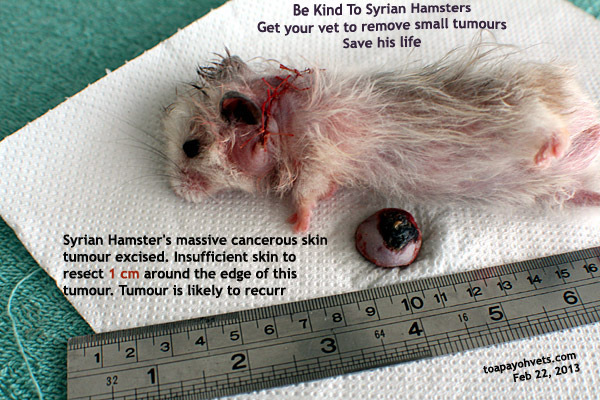 Skin cancer in a Syrian hamster. 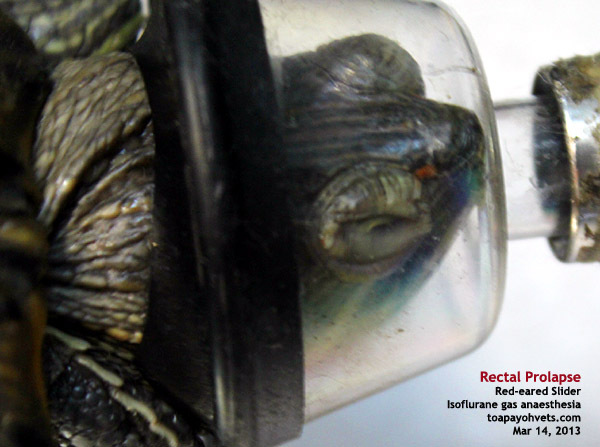 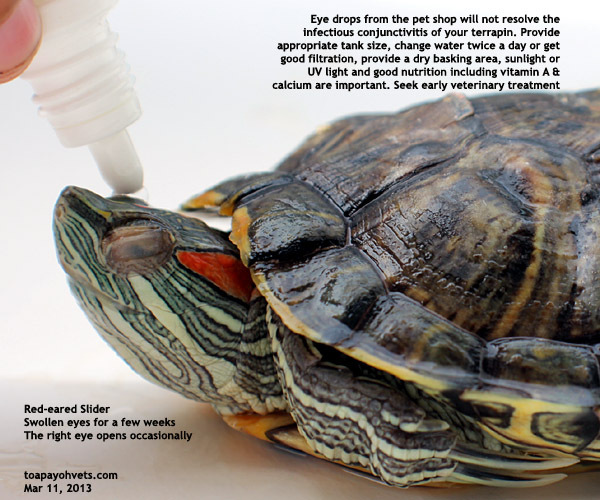 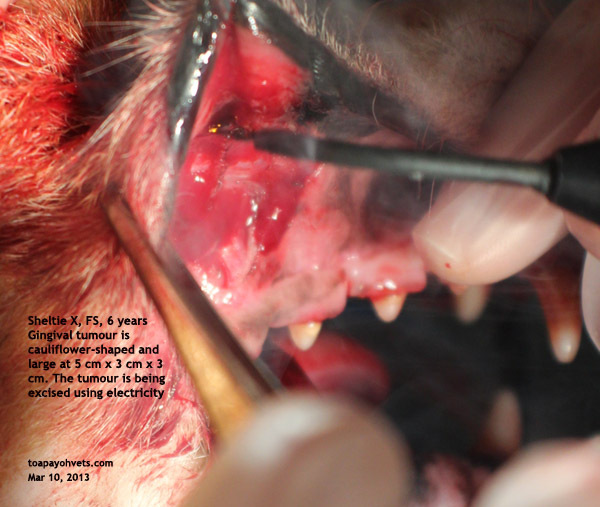 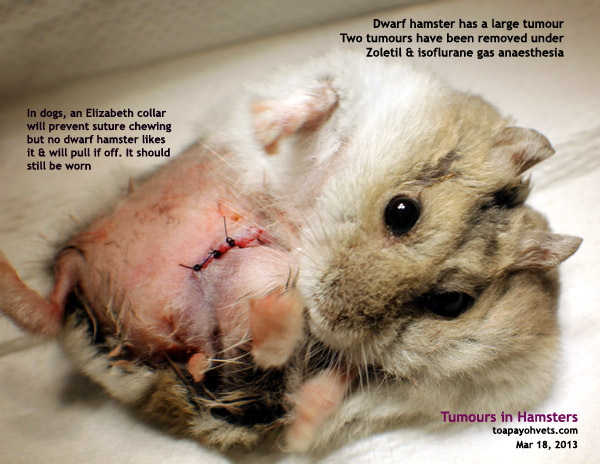 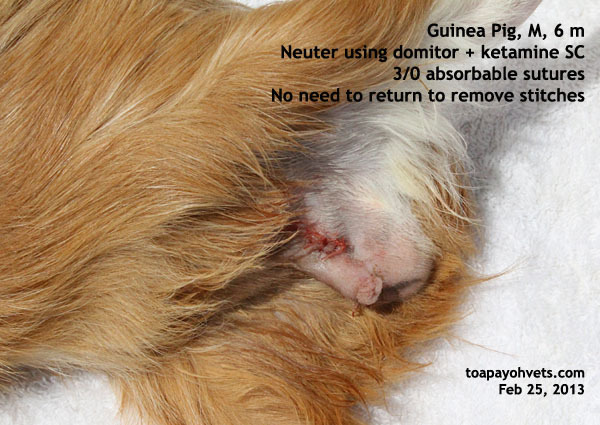 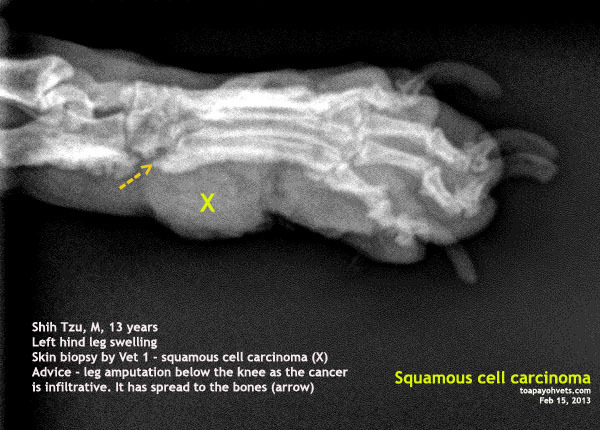 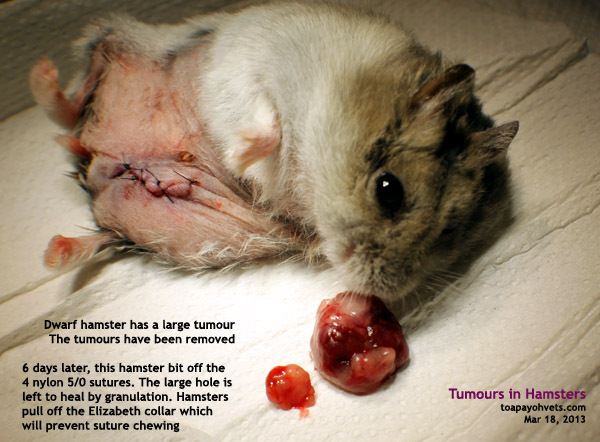 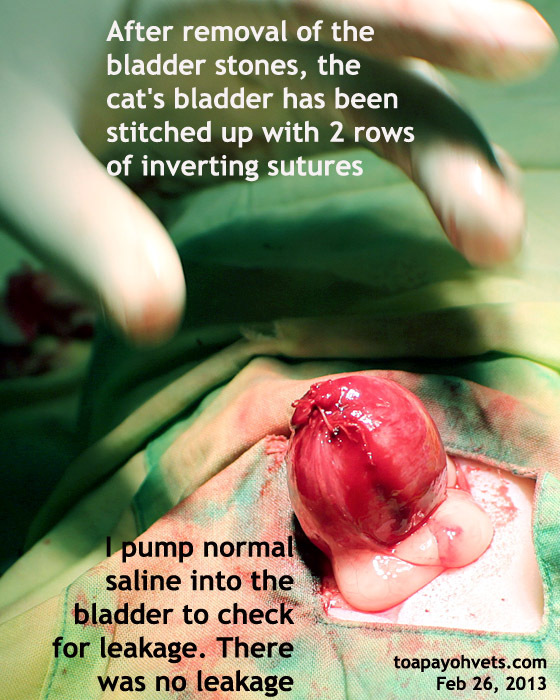 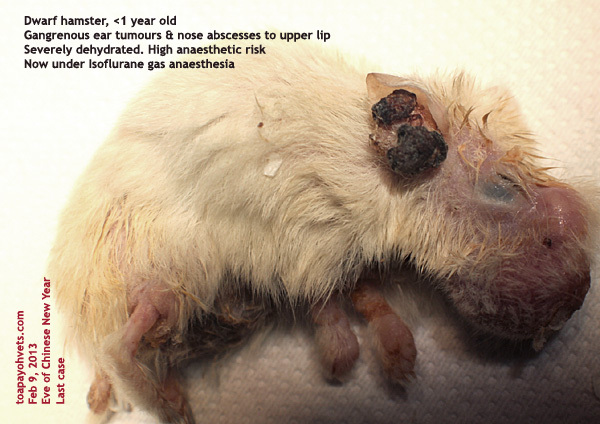 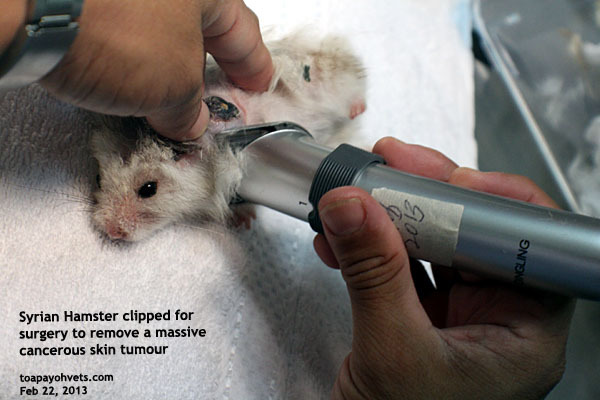 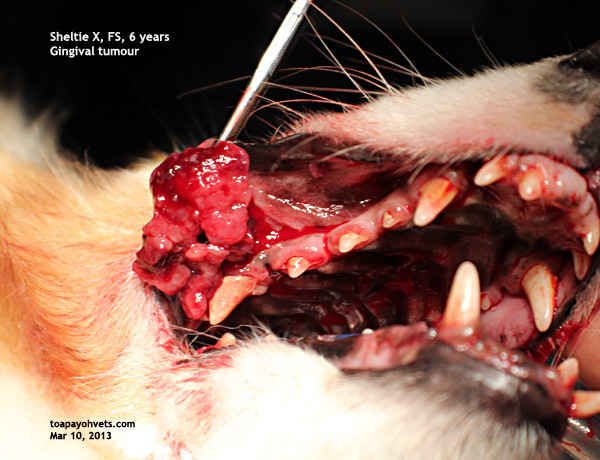 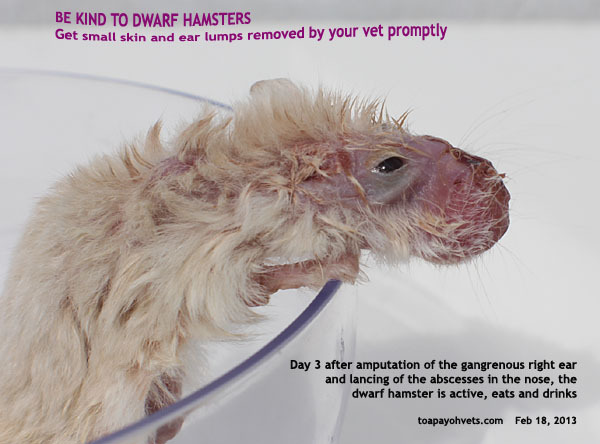 Anaesthesia of a Syrian hamster to excise a massive skin tumour 5981. 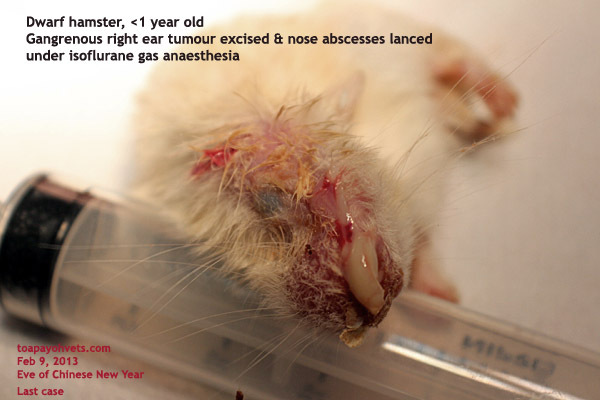 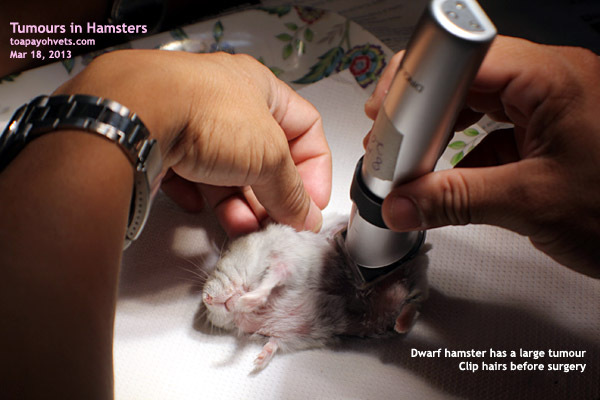 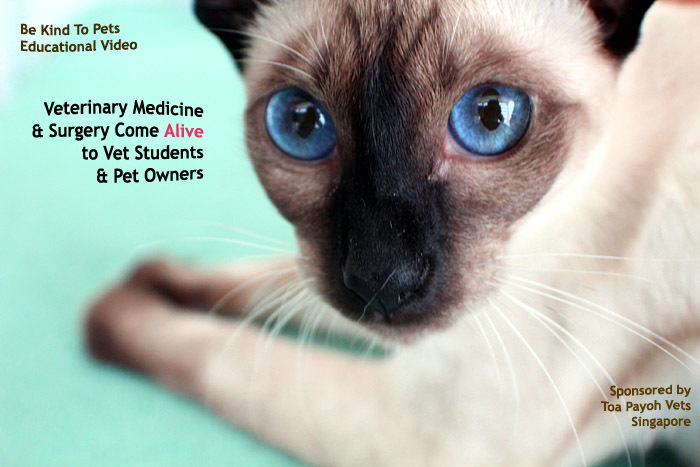 Video: Ear gangrene & nose abscesses in a hamster 5982. 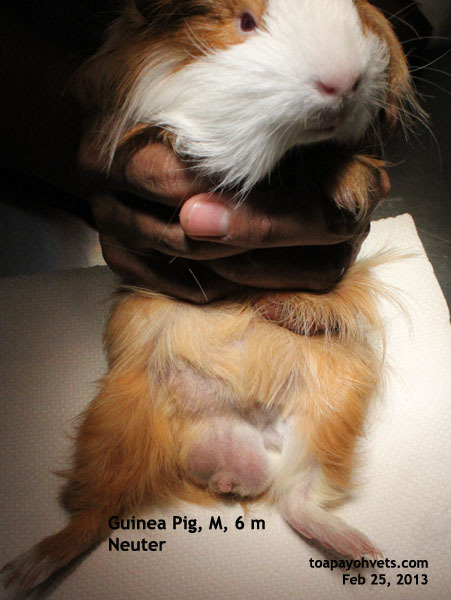 6016 - 6019. 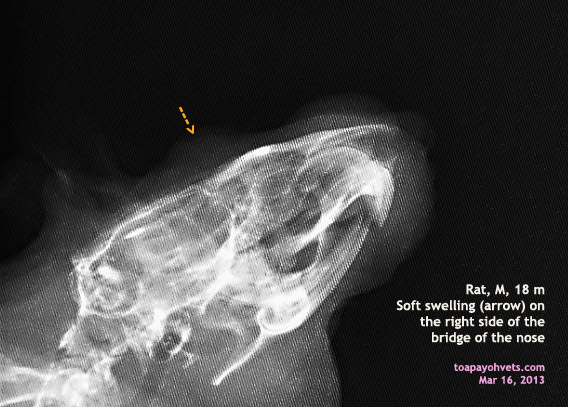 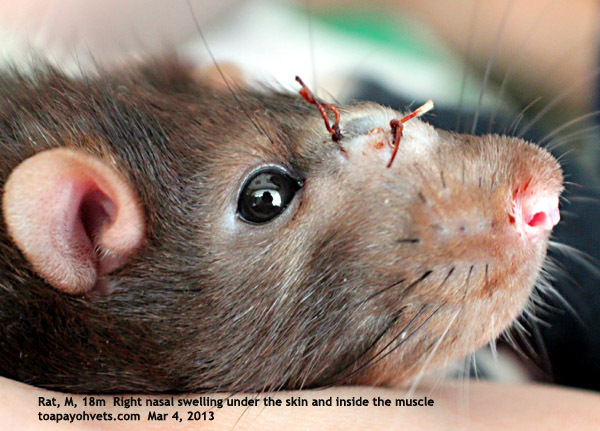 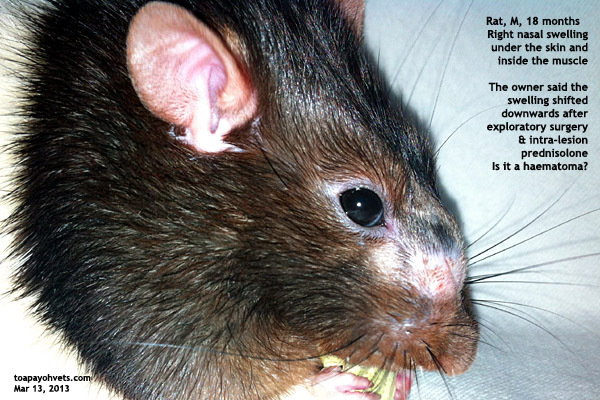 A rat's nose lump swells. 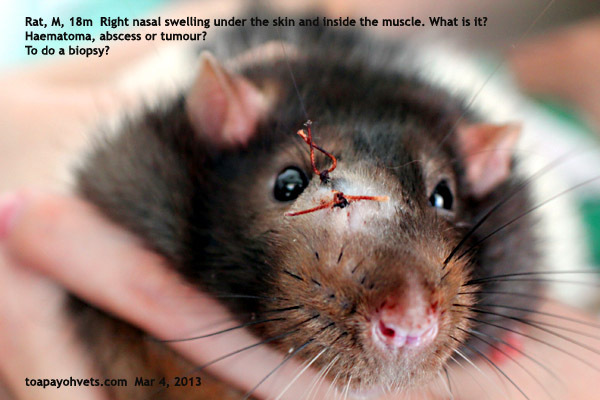 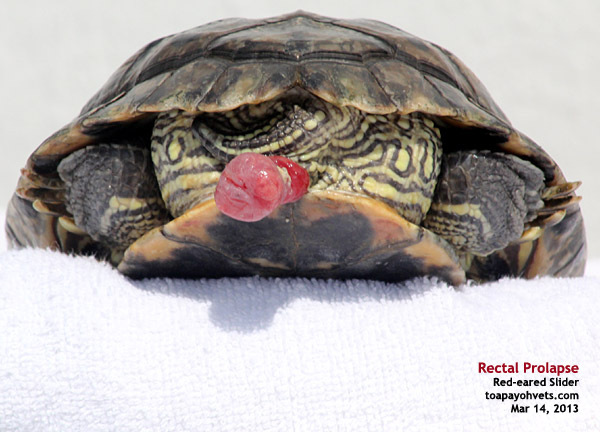 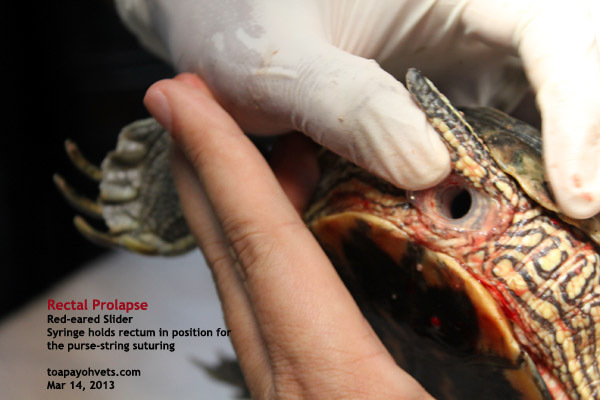 Is it a haematoma, abscess or tumour? 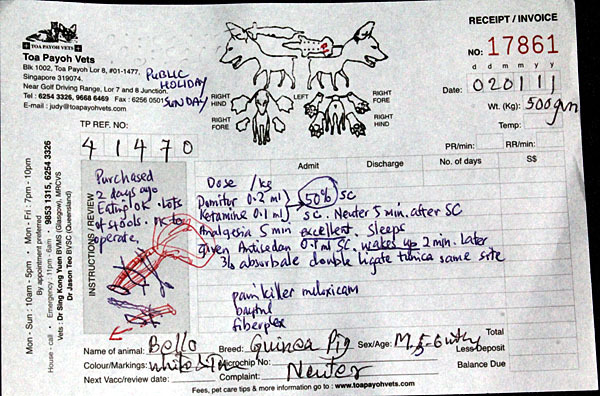 6040 - 6043. 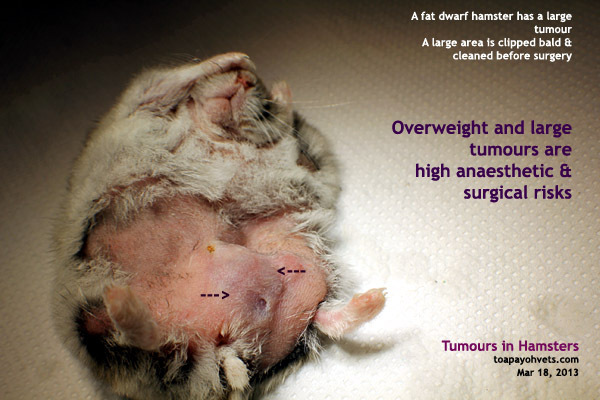 A fat hamster had her large tumours excised. 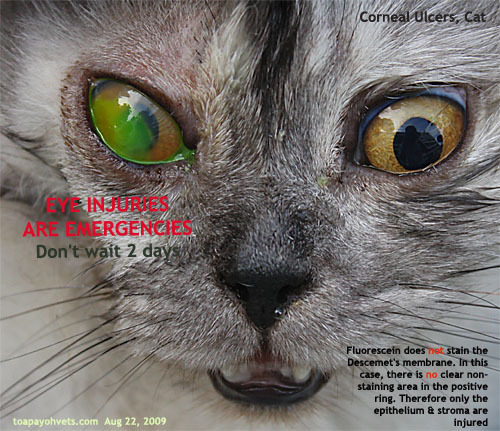 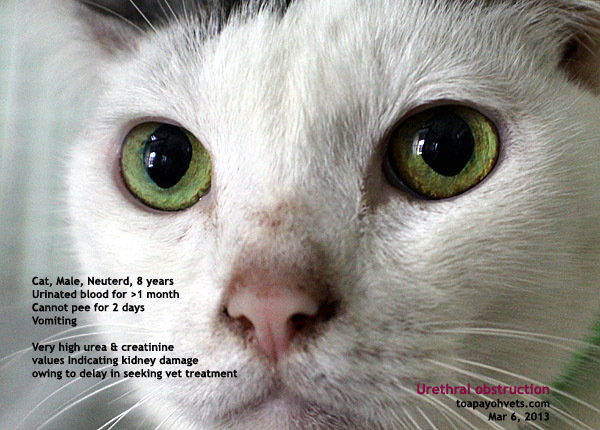 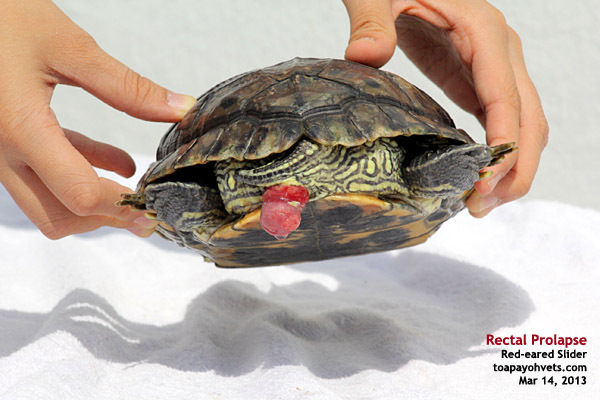 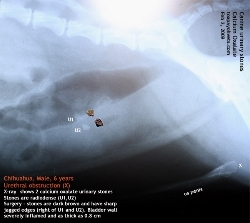 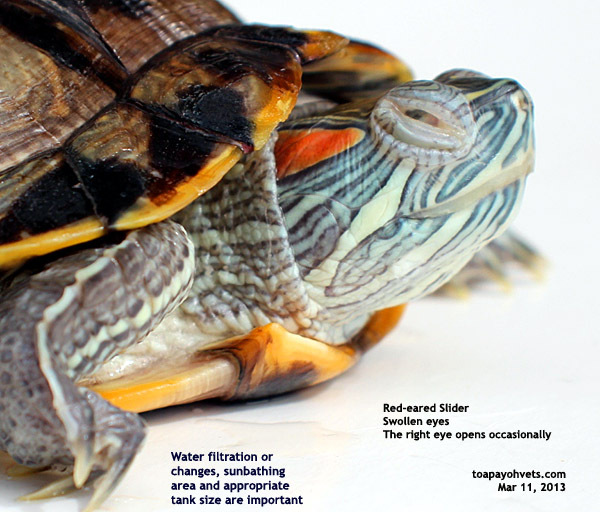 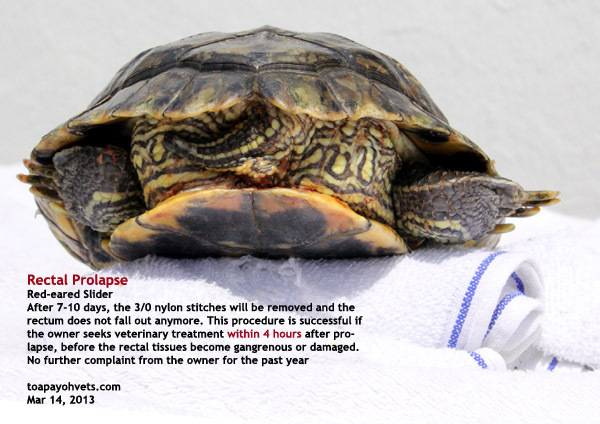 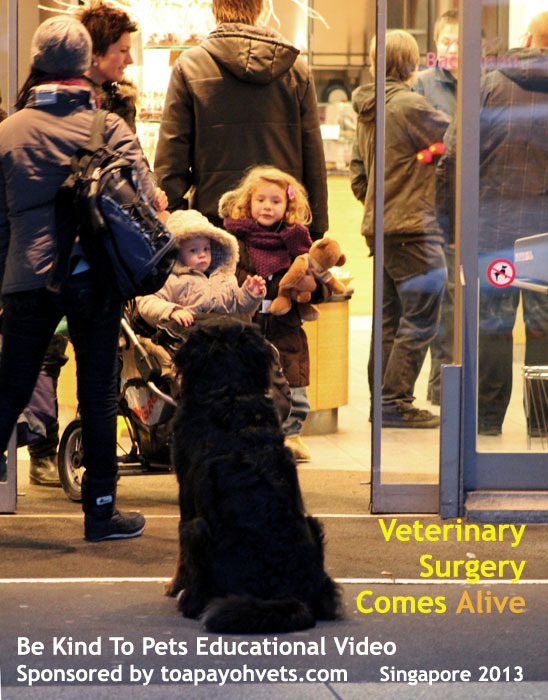 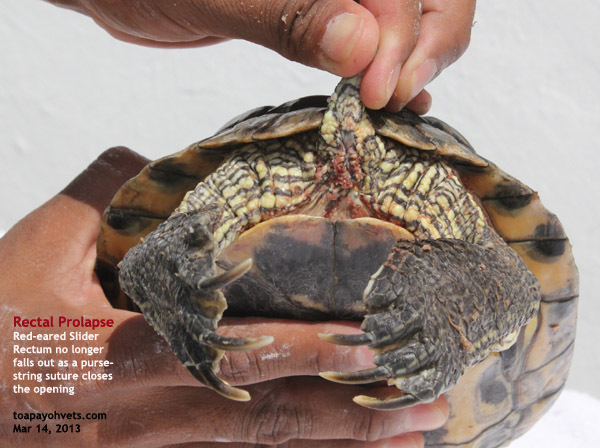 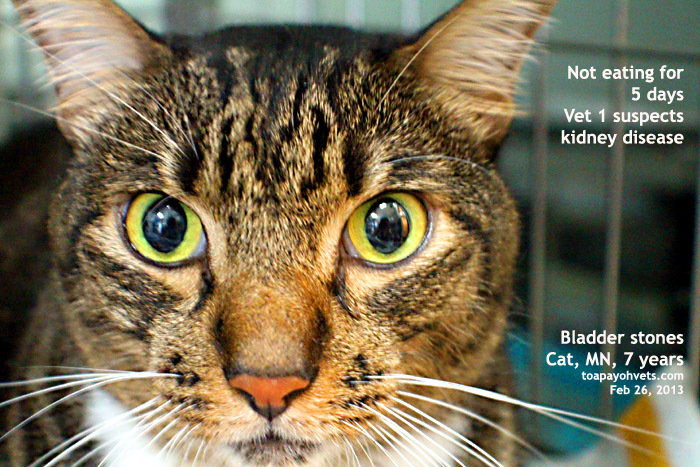 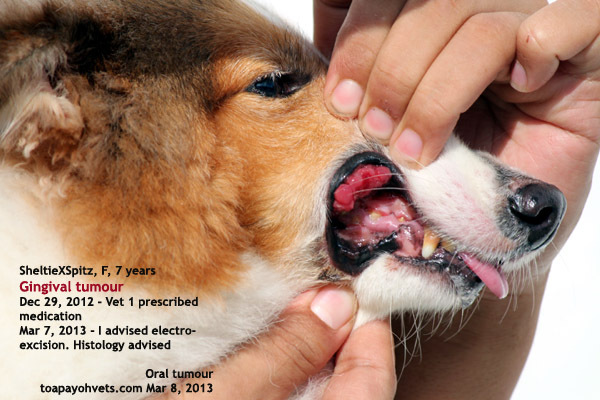 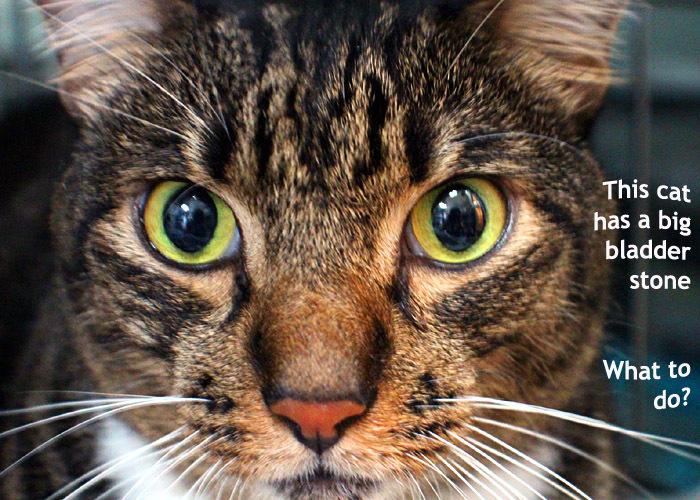 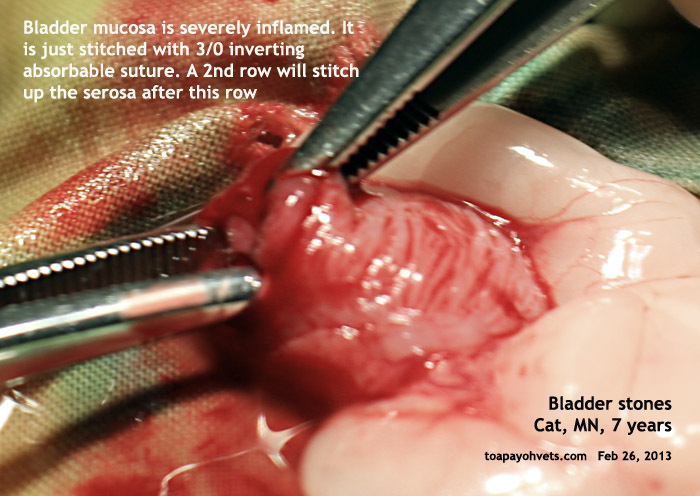 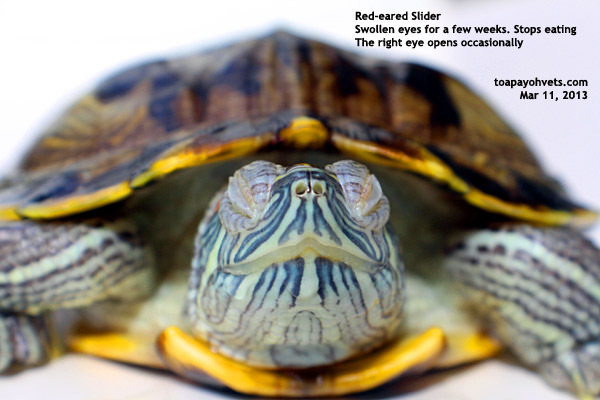 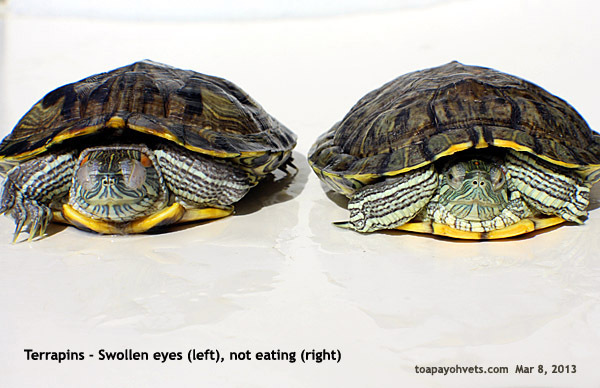 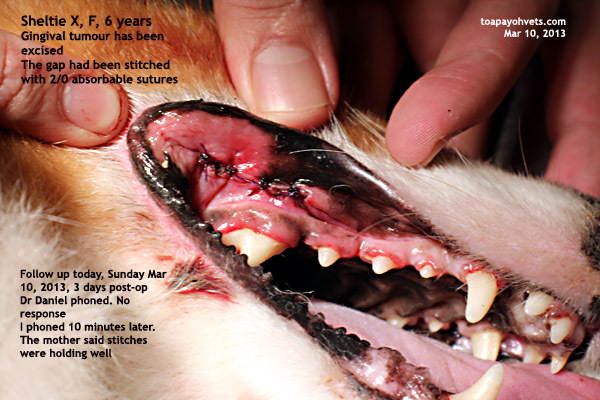 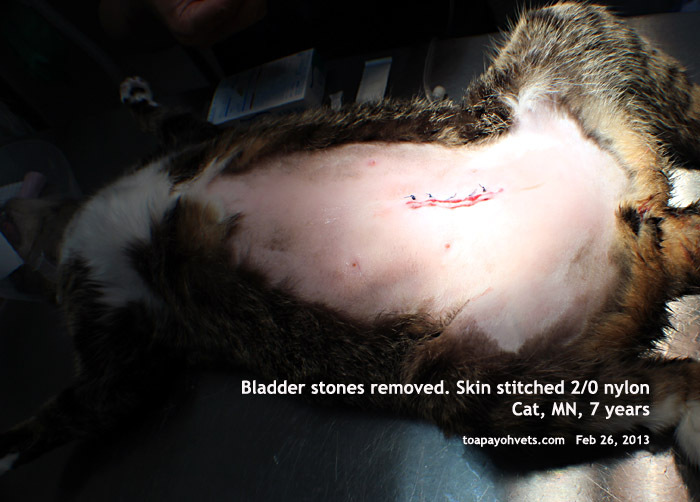 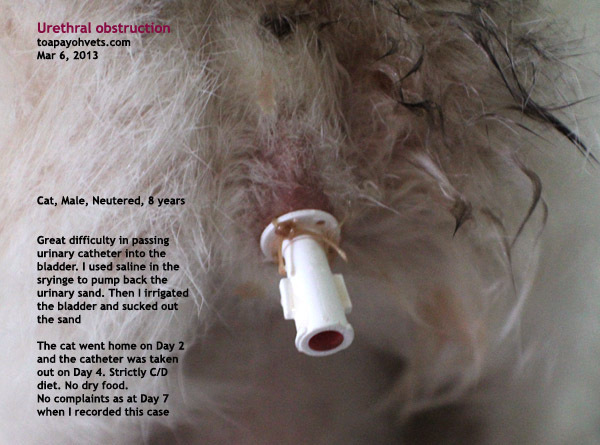 She chewed off her sutures 6 days later. 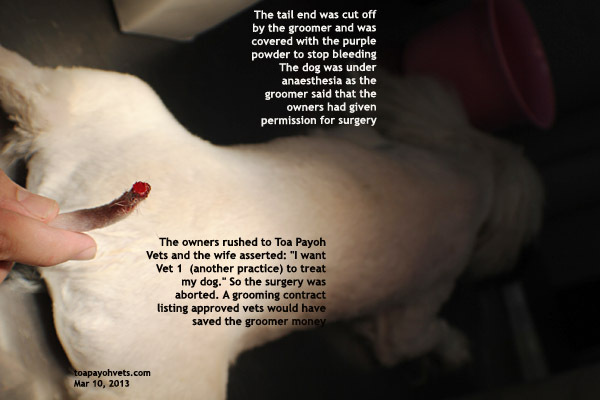 The big wound was left to heal by granulation.